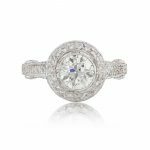 This pristine Art Deco Inspired Engagement Ring is set with an Old European Cut round diamond that is approximately 1.12ct, VS1 clarity, and K color diamond. 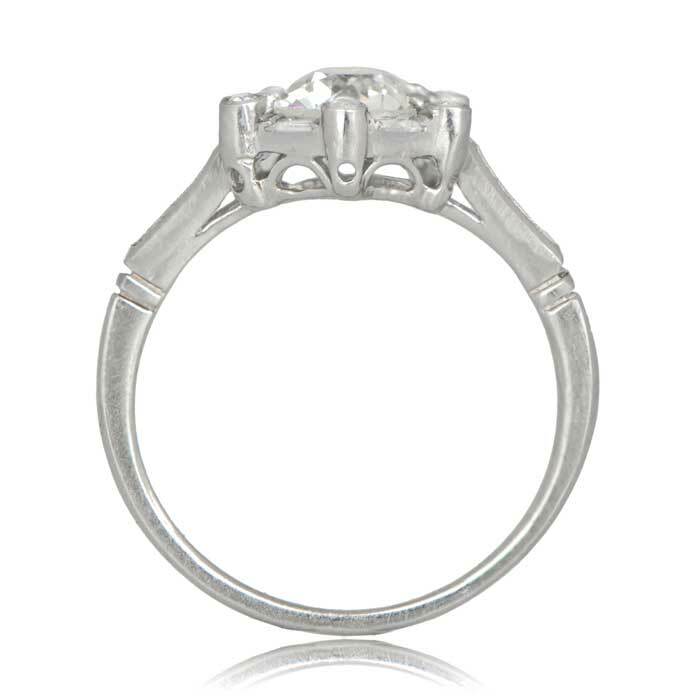 The diamond is bezel set within a hexagonal shaped, Art Deco-esque frame. 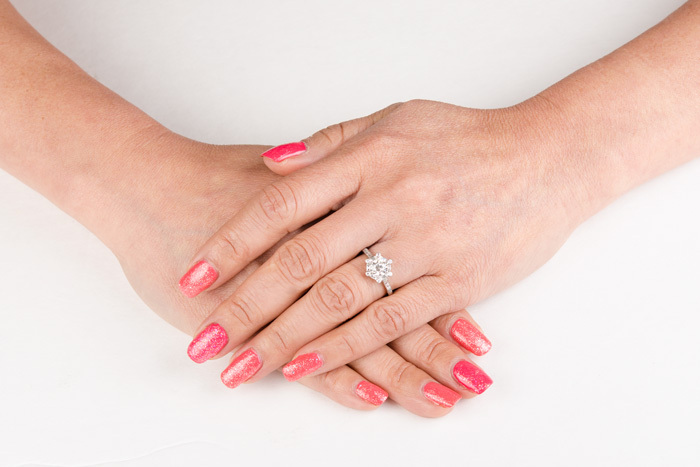 The total approximate weight of the side diamonds is 0.35 carats. Beautiful filigree work adorns the gallery of the handmade platinum setting. Three baguette-shaped diamonds adorn the top of the band. The approximate measurements of the center diamond are 6.4mm x 6.4mm. The approximate measurements of the top face are 10.9mm x 8.80mm. 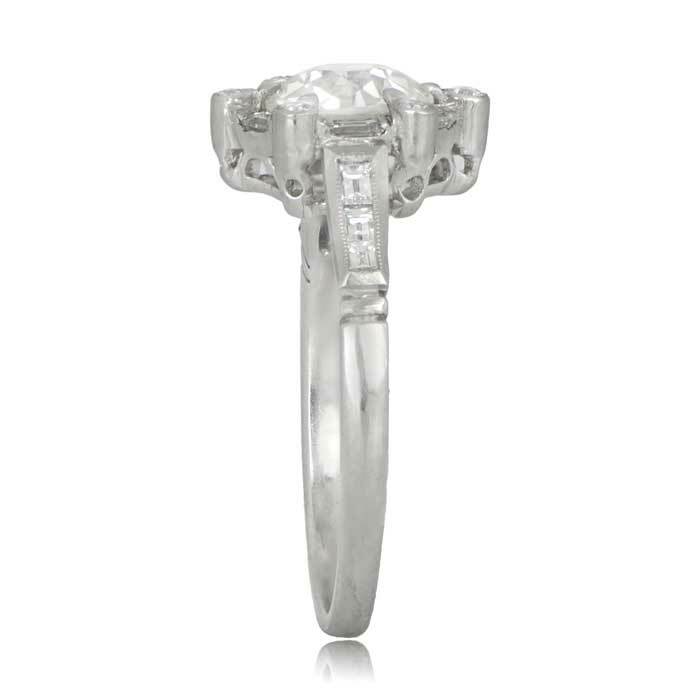 The Art Deco Era design was created by our jewelers and was inspired by one of the antique rings in our collection. 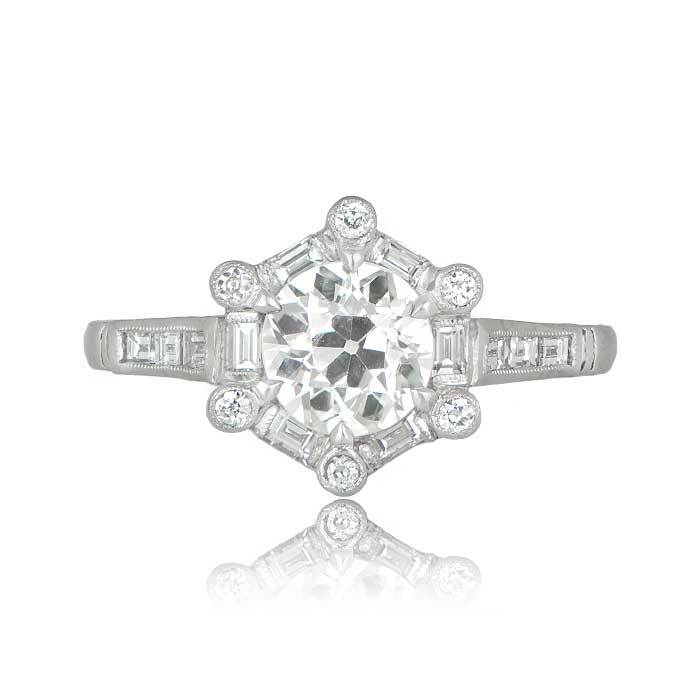 The old European cut diamond is antique and was cut circa 1925. 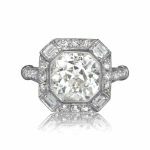 SKU: 11363 Categories: Old European Engagement Rings, Vintage Engagement Rings - Contact us and request additional pictures.